Marital and Family Law, Divorce Lawyer | Ponte Vedra Beach | Jacksonville | Mason Law Firm, P.A. Marital and family law can require extra care and consideration because of the emotional aspects involved in dissolving marriages, including determining child custody and property division. 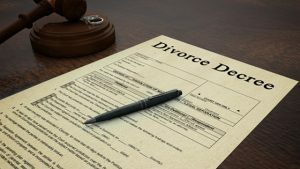 When you have made the difficult to decision to end your marriage, consult a divorce lawyer at The Mason Law Firm in Ponte Vedra Beach, Florida. Our attorneys have experience in cases related to all areas of marital and family law. We understand the circumstances of your situation, and we work hard to guide you through the process without harming the relationship between members of your family. Divorce can be very difficult. During such a trying time, you and your family can benefit from the knowledge and experience of an experienced divorce attorney. At our firm, you will be supported by lawyers who are devoted to helping people dealing with issues related to family law. Our licensed attorneys work with you to give you the options you need during this stressful time of your life. We have a philosophy about how we approach all types of family law cases. We understand that this time could be one of the most difficult and traumatic times in your life and your family’s lives. That is why we want to offer you the support, attention, and consideration that you deserve. The welfare of children is a major focus of family law. Custody and time-sharing are two of the most emotionally draining issues that arise when marriages or relationships between two parents must be dissolved. However, it is important to remember that any decision made should be in the best interest of your child. When you are dealing with difficult decisions related to child custody, our lawyers are here to help you achieve a positive resolution to the issues at hand.